There are t-shirts, and then there are your favorite t-shirts – the ones that are set in weekly rotation, all summer long. 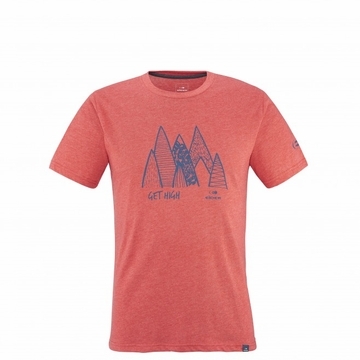 The Yulton Tee falls into the latter category, thanks to the super soft and moisture-wicking DRYCORE fabric. With a variety of custom prints inspired by Eider heritage and the great outdoors, the Yulton feels lived in, yet is still ready to go for many more days on the lake, trail, and around town. >DRYCORE CLOUDY LIGHT // UPF 20 // 50% POLYESTER 50% COTTON "